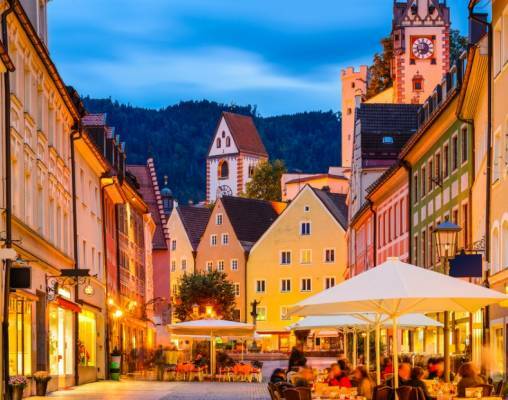 Arrive in Füssen where you will see the best sights the southern portion of Germany has to offer, as each day takes you on a new adventure. Enjoy the stunning sights as you take a train ride to the summit of Germany's highest mountain. 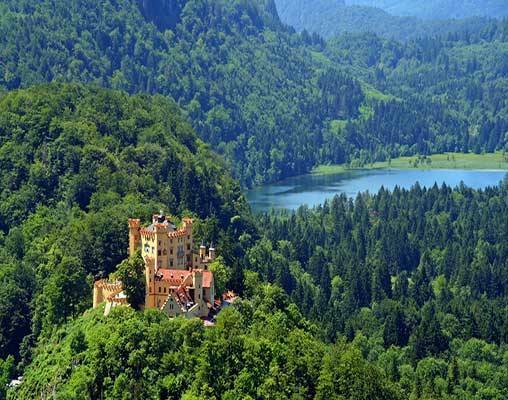 Explore the fairytale beauty of Bavaria when you visit Neuschwanstein and Hohenschwangau Castles. 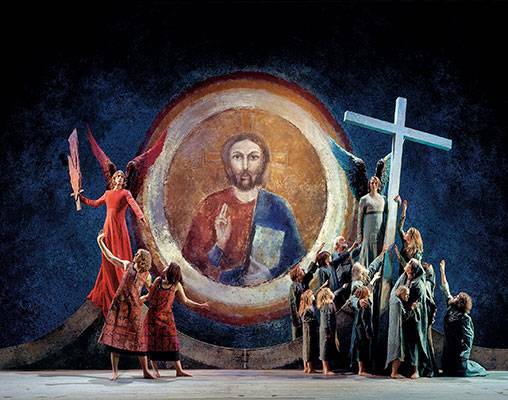 Finally, prepare for the highlight of this tour, Oberammergau's Passion Play, a magnificent sight to behold. Settle into your seats, front and centre, for this once-in-a-decade performance that runs the course of the entire day, with a two-hour intermission to explore the village. Note: For the Passion Play Performance, you will be seated in Category 1 seats, located at the front and center of the theater. 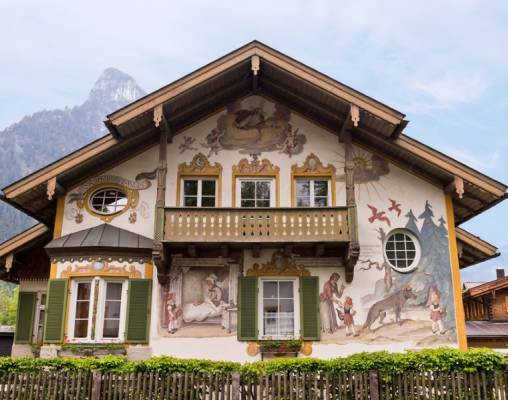 Set in a quaint yellow building, surrounded by leafy trees, and mere minutes away from Füssen's railroad station, the 4-star Hotel Schlosskrone is a superb base from which to explore the Bavarian charm of Füssen. With superb interiors and elegant décor, this hotel takes the very best of German style and hospitality, with a friendly staff and comfortable rooms. 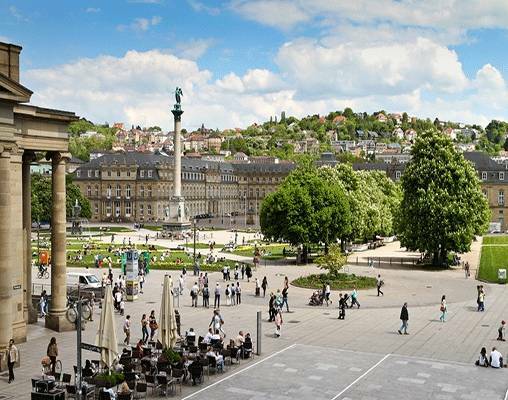 The Hotel Schlosskrone boasts a range of dining facilities including a traditional Bavarian restaurant along with a bar and an award-winning pastry shop, called Kurcafe, offering all manner of delights in the shape of various sweet and savory offerings. The hotel also offers and extensive spa and fitness areas, with various massages and treatments available (payable locally). The excellent rooms come well-equipped with a television, a hairdryer, a telephone and complimentary WiFi. The high-speed Eurostar trains link St Pancras International in London with Paris and Lille in France as well as Brussels in Belgium. Eurostar's Standard Class coaches feature two seats on either side of the central aisle, most of which are arranged in an 'airline' seating configuration with drop-down tray tables. There are two tables for four per carriage. Passengers traveling in Eurostar Standard Class coaches can take advantage of the Bar-Buffet which sells a range of snacks, meals, hot and cold drinks - including Champagne! The highest class of Eurostar travel available for leisure customers is Standard Premier Class. In your dedicated Standard Premier carriage you'll find a less dense seat configuration, meaning the seats are larger and you have ample space to relax and stretch out. As part of the service, you'll enjoy complimentary drinks and refreshments, served at your seat by friendly, helpful waiting staff. We enjoy a journey on the narrow-gauge Zugspitze Railroad on some of our tours. 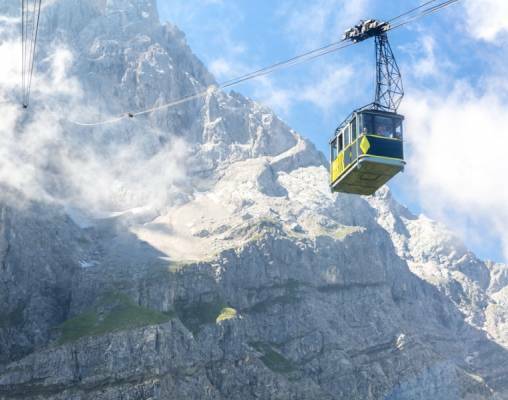 The line takes us from the charming Bavarian town of Garmisch-Partenkirchen on an 11-mile journey to the peak of Germany's highest mountain - overcoming a height difference of 2,897ft. On leaving Garmisch-Partenkirchen, the electric train runs through the gentle countryside surrounding the town, including flat, fertile farmland and glorious meadows. Continuing past a scattering of small villages, the line begins its ascent; about four miles from Garmisch the train begins to use a rack-and-pinion system to negotiate the steep gradient. From the base of the mountain, the scenery becomes ever-more dramatic, with the spiky, snow-covered peaks towering over dense patches of woodland below. After pausing at Eibsee station, our journey continues into the mountains, using a series of wide curves to gain height. Zugspitze Railroad then passes through Höllental or 'Hell Valley' named for its dramatic slopes and narrow gorge that made climbing the mountain difficult. We then run through an area thick with pine trees before disappearing onto a long tunnel built to protect the railroad from the most extreme weather. We emerge near the summit of Zugspitze, where the views out over Bavaria and Austria are incredible. 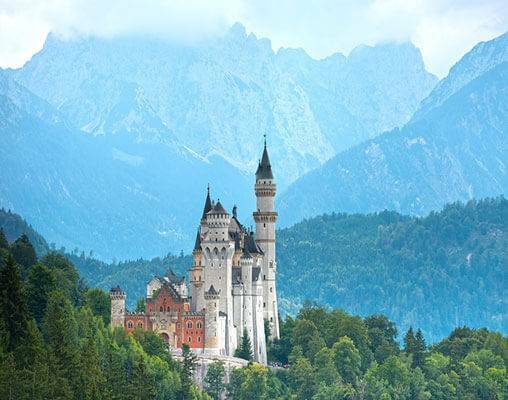 Enter your details below if you would like to be notified when 2021 dates and prices are available for Oberammergau & the Castles, Mountains and Lakes of Bavaria 2020.